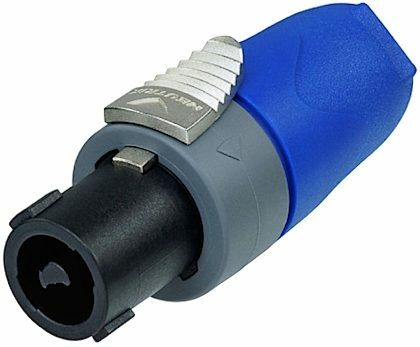 The Neutrik NL2FX is a 2-pole speakon female cable connector with chuck type strain relief. The industry standard for loudspeaker connections offers extremely reliable and robust cable connectors with a reliable locking system. These cable connectors feature solid contacts with screw-type terminals including a stranded wire protection which offer also solder termination. - 1 piece strain relief, chuck for 6 to 10 mm cable O.D.